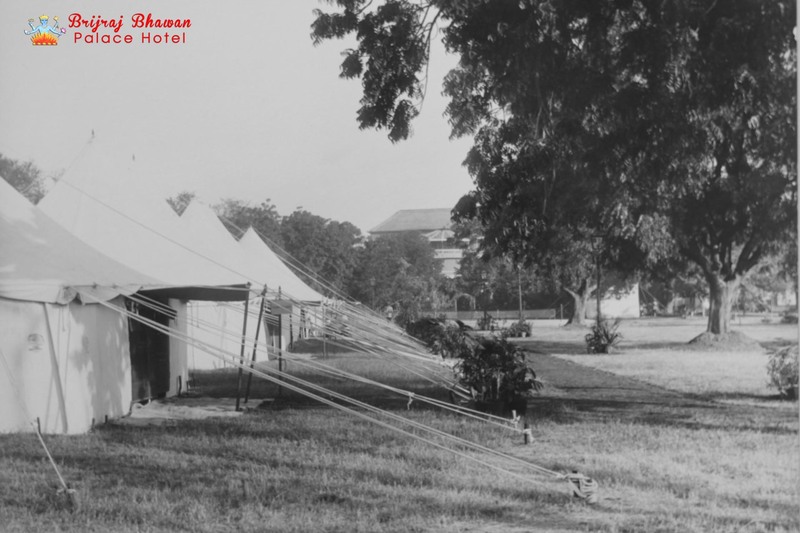 Brijraj Bhawan was built in 1830 by the East India Company (financed by Kotah state) for the British Political Agent to live in and was hence called the Agency Bungalow. 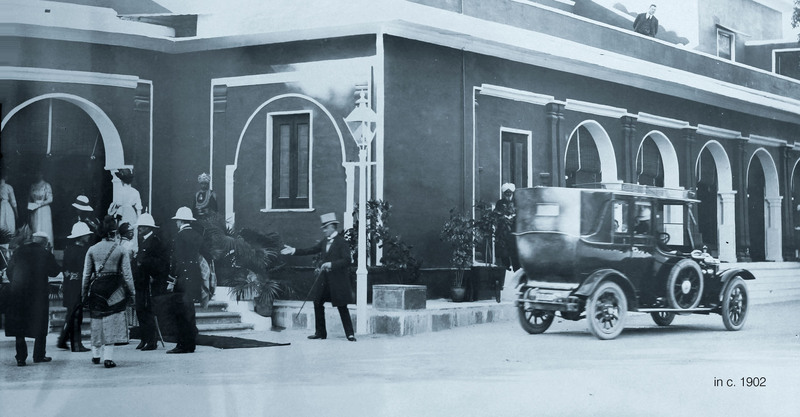 The initial structure was smaller than what the building is today, and is primarily where the royal family resides currently. 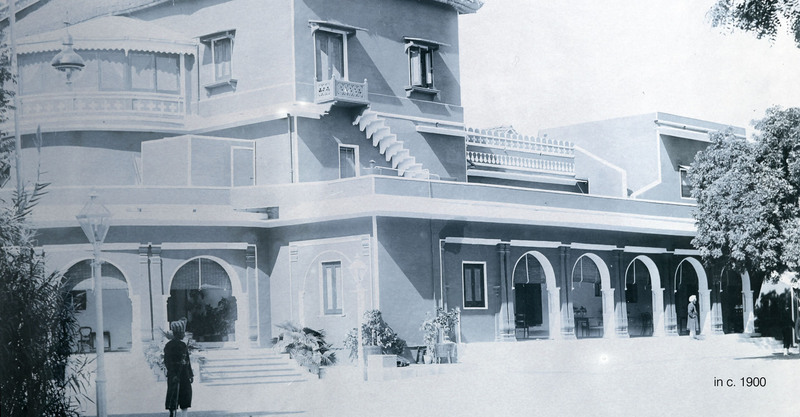 In 1900, the seat of the Political Agent shifted to Bharatpur, and the building was taken over by the Kotah State. 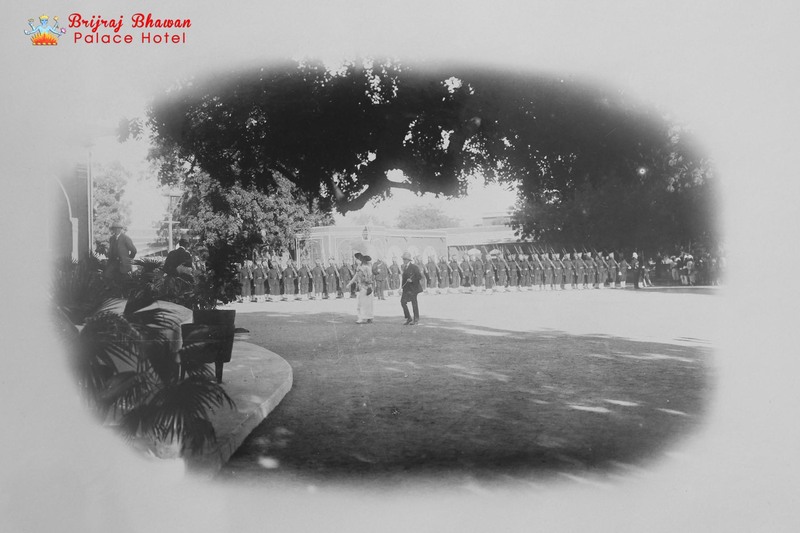 It became the State Guest House and was renamed Raj Bhawan, where all VIP guests were put up. 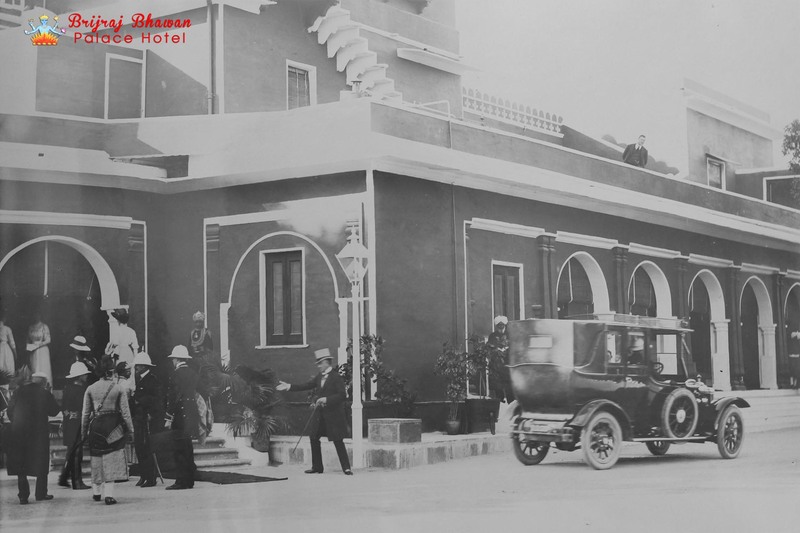 Lord Curzon was the first VIP to stay here in 1902. 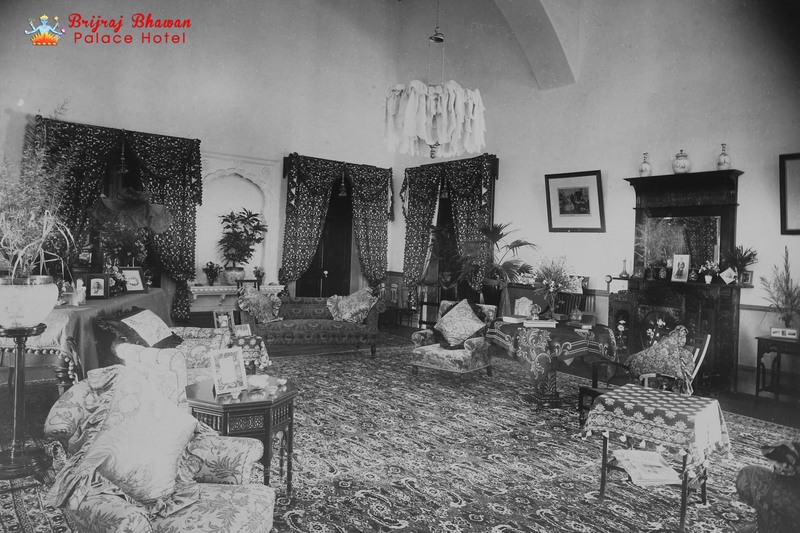 After him the other Viceroys to who stayed here were Lord Reading and Lord Willingdon. 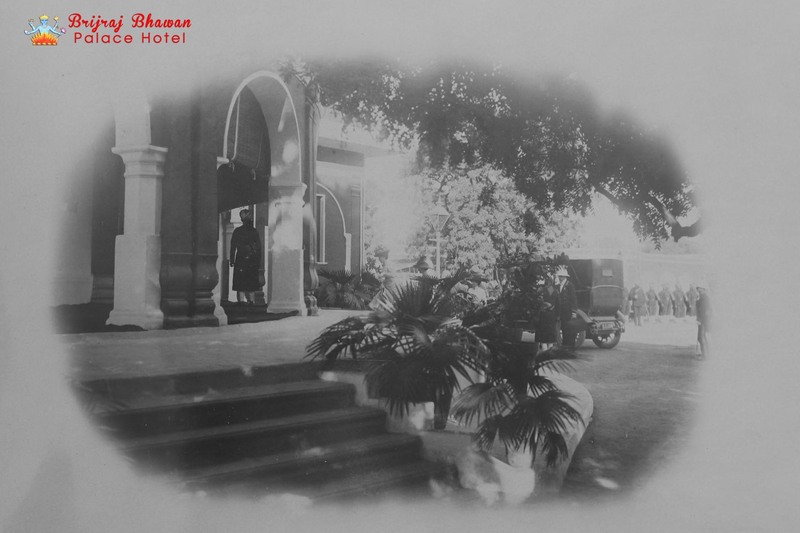 Her Majesty Queen Mary of Great Britain came and stayed here in December 1911. 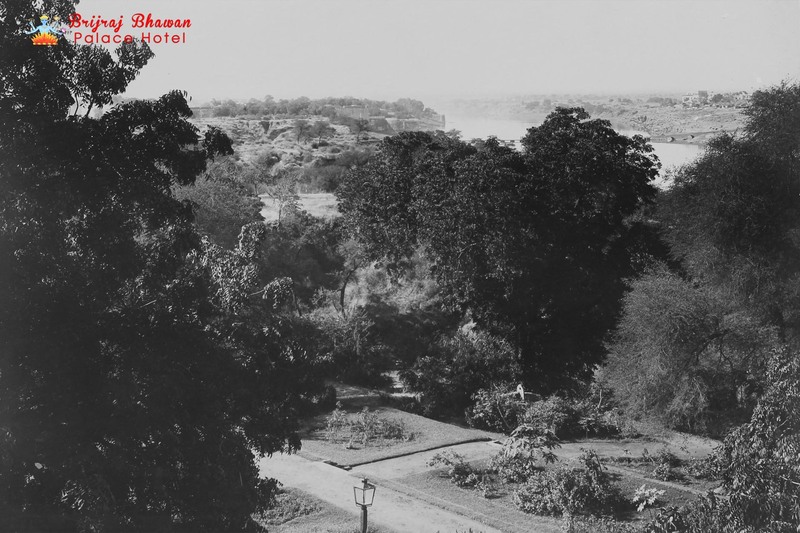 She observed Christmas here, complete with a Christmas tree and gave away presents to children - including young Maharaj Kumar Bhim Singh (the last ruler of Kotah), who was then 2 years old. 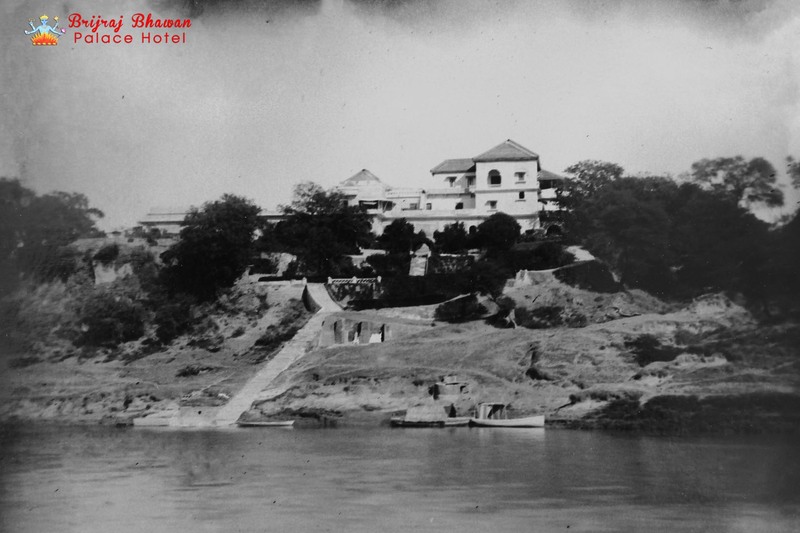 Many other distinguished guests along with Rulers of Indian States have stayed here. 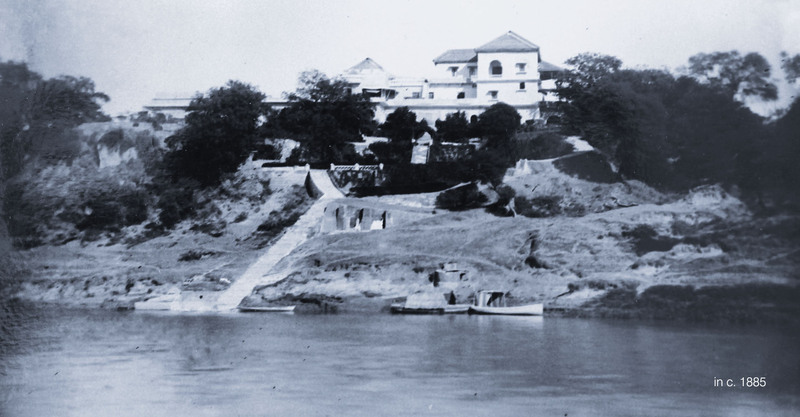 In 1909, an entire new wing facing the river was added. This forms the bulk of the hotel section today. 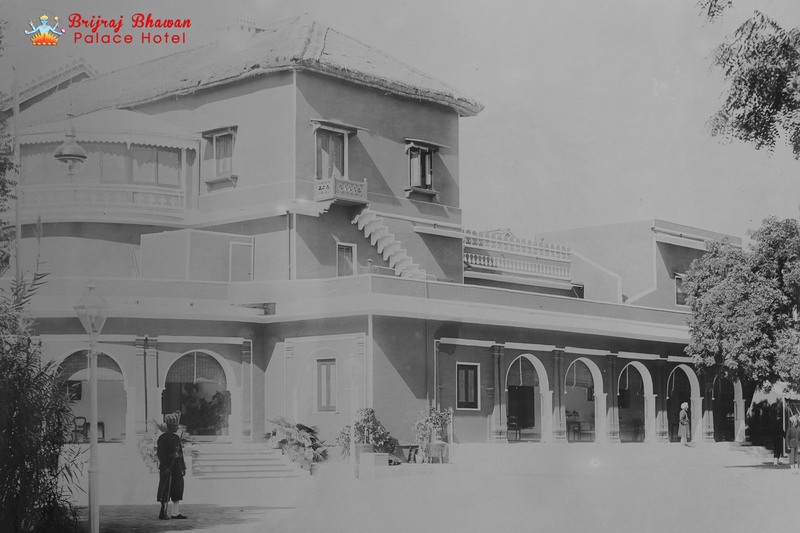 The present Maharao of Kotah, Brijraj Singh, was given the building by his father when he came of age in 1956, and it was renamed Brijraj Bhawan. 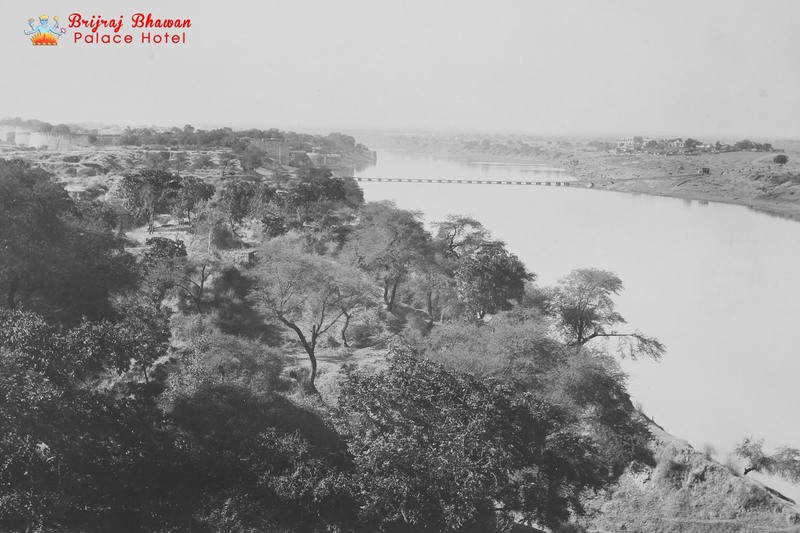 He started living here with his family and opened it as a hotel in 1964. The Countess of Shaftesbury (Lady of the Bedchamber), The Earl of Shaftesbury, KCSI, KCVO (Lord Chemberlain), anon, H.M. the Queen, The Duchess of Devonshire (Mistress of the Robes), Lt. Prince George of Battenburg, RN (Equerry) and anon. 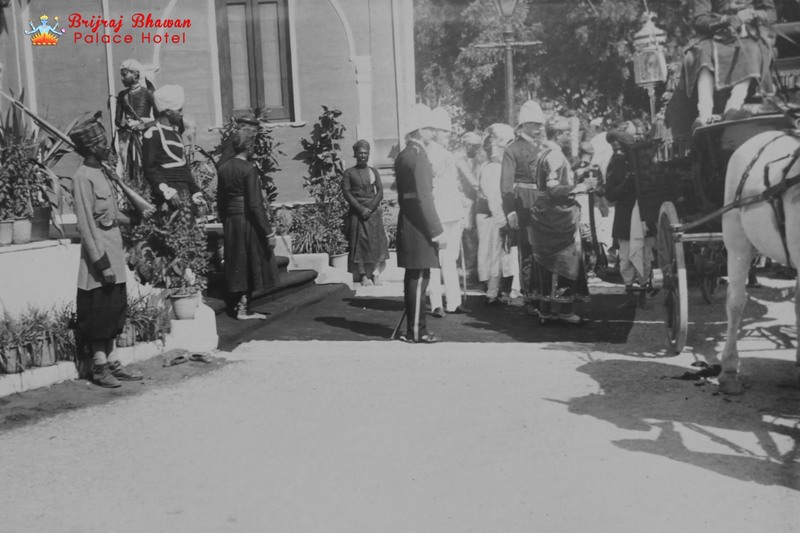 Kunwar Onkar Singh of Palaitha, Maharaja Madho Singh of Gaintha, Chaubey Sri Raghunath Das (Diwan of Kotah State), anon, Maj. Arhur Bannerman, CIE, CVO (Political Agent), Lt. Col. H.D. 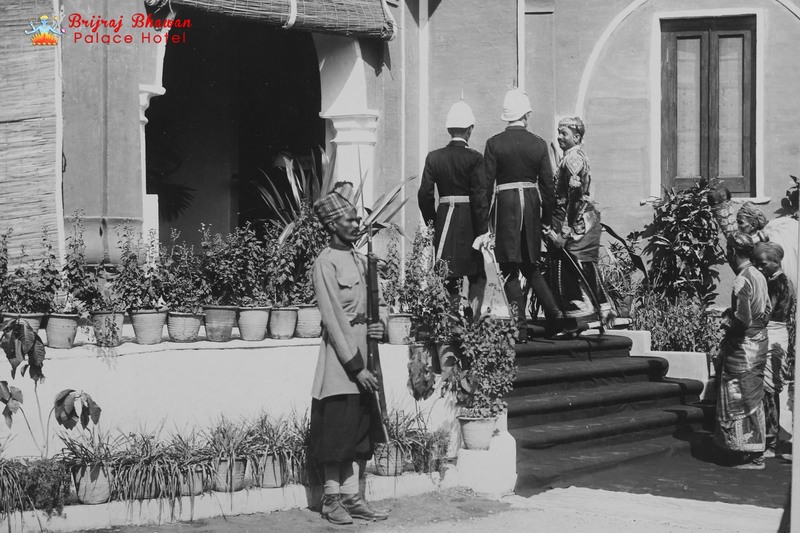 Watson, CIE, MVO (Extra Equerry), His Highness Maharao Sir Umed Singh II Bahadur, GCSI, GCIE, Lt. Col. R.B. 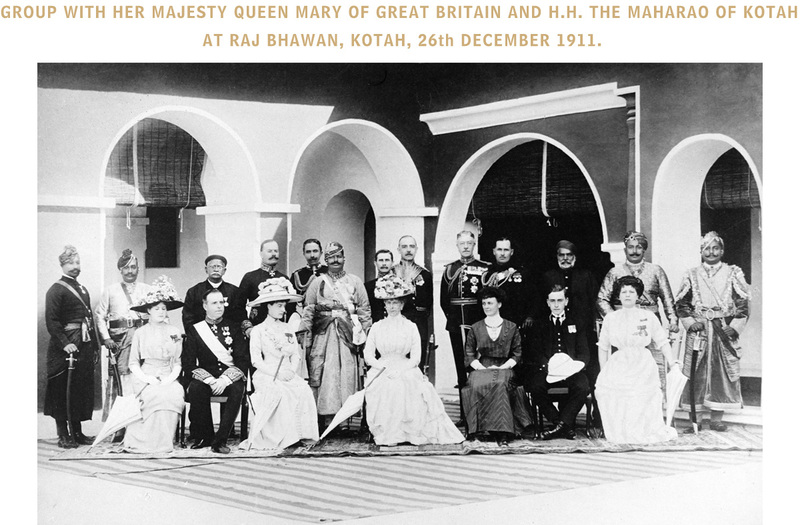 Berkeley (Political Agent), anon, Maj. Gen. Sri Stewart Beatson, GCB, KCSI, (Equerry and Private Secretary), anon, Munshi Sheo Pratap (PS to HH), Raj Bijey Singh of Kunadi and Apji Gobind Singh of Koela.